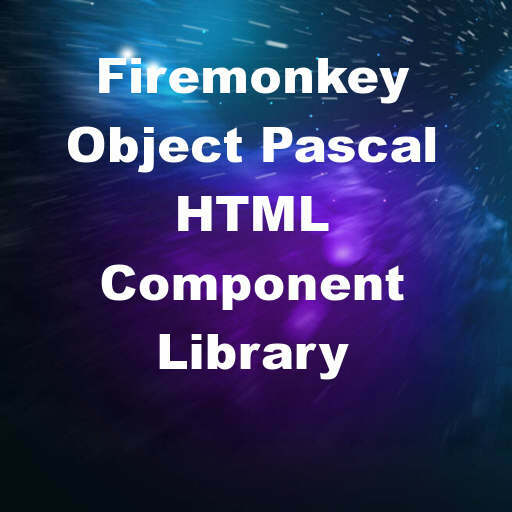 Developer Alexander Sviridenkov has upgraded his HTML component libraries (HTML Component Library, HTML Report Library, HTML Editor Library) with a huge round of new features for Firemonkey in Delphi 10 Seattle. These components do not use WebView or any other plugins or third party controls. They are written in straight Delphi code. The libraries have enhanced support for Android with native rendering. The new TImageList component in Seattle is now supported. It boasts a rendering speed increase of 30% over the previous version. The HTML Editor Library side of the components support Windows and OSX. The HTML Component Library components support Android, IOS, OSX, and Windows. HTML 4.1 and CSS 3 tags are supported plus some HTML5 tags. There is even Right-To-Left support Unicode support. All of these libraries are commercial libraries with single developer and site licenses available. Demos are available. There are so many features in these libraries you really have to check them out for yourself to see them all. The libraries should support Appmethod and probably C++Builder as well. Head over and check out all of the features in these HTML components for Firemonkey in Delphi 10 Seattle.